Sony makes a binding statement against Tata Sky because of blocking 32 channels. Tata Sky had cancelled Sony channels on pricing alongside the three India Today network channels, including Aaj Tak on Monday. Sony Pictures Networks (SPN) India made a strong statement on Tuesday against DTH TV operator Tata Sky for the closure of 32 of its main channels, including Sony Entertainment Television, SAB, Max, AXN and Sony Pix. 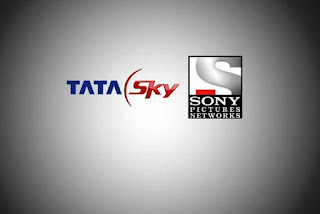 In addition to the three channels of India Today Network, including Aaj Tak Monday, Tata Sky has eliminated Sony channels due to price issues that caused a sensation in social networks. TheTata Sky subscribers went on Twitter and Facebook to express their anger and demanded that the decision is revoked immediately. "SPN channels are leaders in their genre and the network is one of the most popular in the country," said a spokesman for Sony. "By abandoning channel channels, Tata Sky deprives viewers of the opportunity to see first-rate sports and entertainment offerings and force existing subscribers to make separate" missed "calls or even continue to watch SPN channels - for those who are already paying Tata Sky is not acting in the interest of the consumer, "the spokesman said. The three-year distribution agreement between SPN and Tata Sky expired two months ago and the two renegotiated an agreement. The SPN was looking for more revenue that Tata Sky attributed to the failure of the discussions. "Trade negotiations with broadcasters (SPN and India Today Network) failed because what they were looking for would force us to raise our prices, so we had to give up some channels while keeping the most popular ones. Support us, because we do for them, "said Harit Nagpal, CEO and General Manager of Tata Sky. SPN denies Tata Sky's claims, claiming it has not increased channel charges. Tata Sky has 16 million subscribers, a jump of six million in three years. Five million of these subscribers are HD subscribers and their numbers are growing.